The London Catalan Festival returns for the second year in a row at PizzaExpress Jazz Club in Soho, bringing together jazz artists from across the Catalan Countries. This year, in its second edition, the festival will celebrate the diversity of genres that connect with jazz: flamenco, bossa nova, classical music and electronics will be present throughout the first weekend of June. Catalonia and the Balearic Islands have been a welcoming land for centuries. This can be seen in its music with the integration of flamenco, traditionally from the south of Spain, classical music coming from across Europe, bossa nova from Brazil, fado from Portugal. The Catalan Countries are a melting pot of cultures that we wanted to represent in this year’s festival, showcasing 5 incredible projects that connect jazz with other genres and cultures. Continuing with last year’s commitment, we want to ensure an equal representation of bands led by men and women. 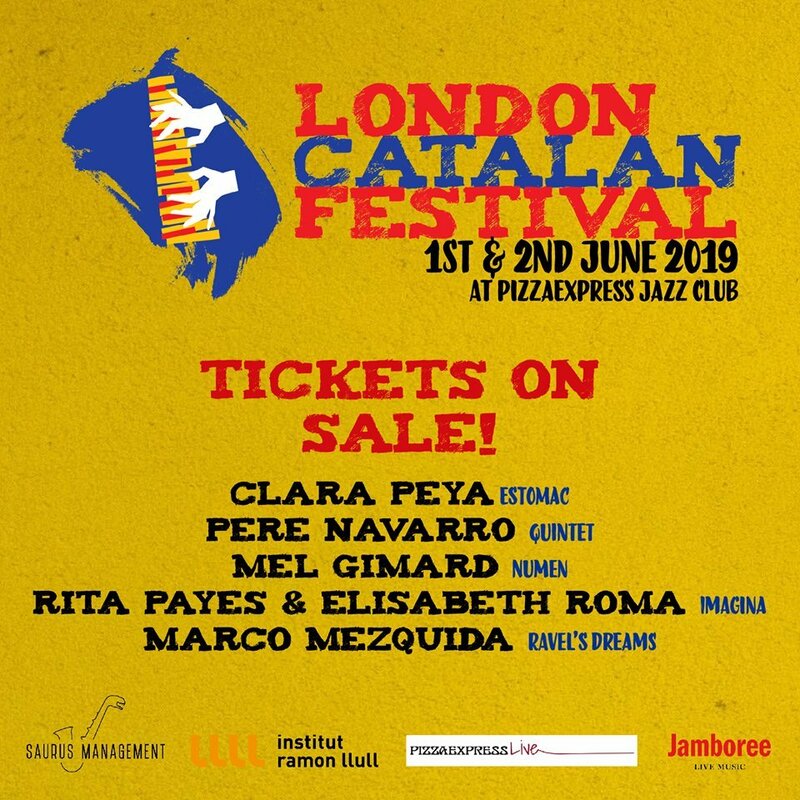 The London Catalan Festival is a co-production between Institut Ramon Llull and PizzaExpress Jazz Club, directed and promoted by Saurus Management.